We started with British Lops as a second breed, initially wanting a breed to compliment our then herd of Gloucestershire Old Spots. At the time British Lops were the rarest of our traditional breeds, classed as endangered on the Rare Breed Survival Trust Watch list. 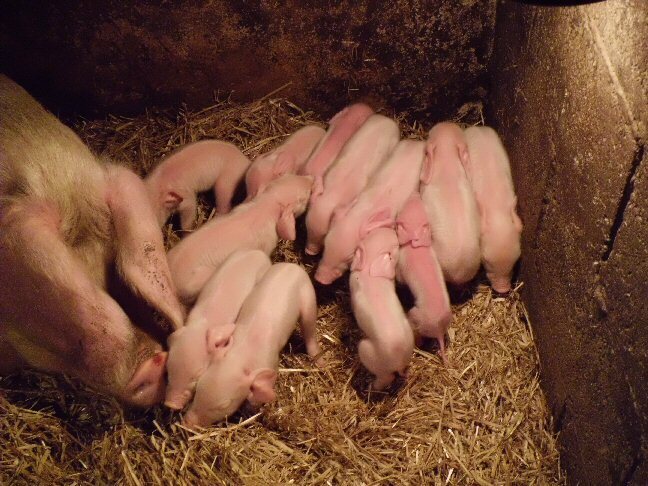 They are now the mainstay of our pig herd. around the Tavistock area on the Cornwall/Devon borders; where spring comes early and the sun shines often. 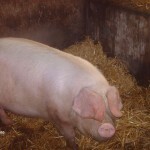 Like many other regional breeds of pig, sheep and cattle the British Lop remained rooted in this area until the twentieth century, relatively undiscovered by farmers and smallholders. In the early days the British Lop breed was registered as the National Long White Lop breed. Only in the 1960′s was the new name British Lop adopted by the breeders. 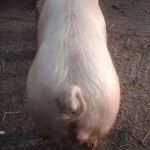 The British Lop Society continues to be the only independent pig society looking after it’s own herd book. 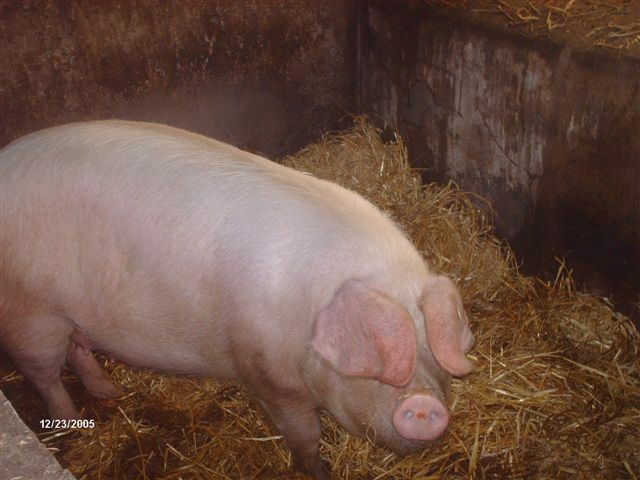 With the advent of the Rare Breeds Survival Trust in 1973 the British Lop, British Saddleback, Tamworth, Berkshire, Middle White and Large Black were recognised as needing help to survive into the future. 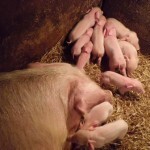 This was a major boost to these rare breed pigs as the RBST did a marvellous job in ensuring the survival of all these breeds. 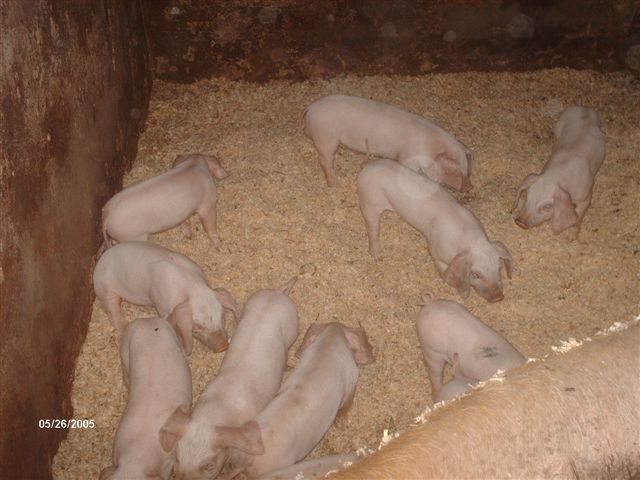 However, the British Lop being a pure white pig is not seen as so attractive by the hobby farmer who finds the coloured pigs more aesthetically pleasing, which belies it’s sound qualities as an excellent pig to keep and finish. 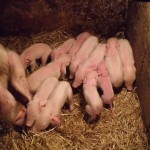 However, the British Lop is now more numerous and widespread in the UK than at any time in the last 40 years, even though numbers of pedigree registered British Lop pigs remain very small in comparison to other rare breeds of pigs. 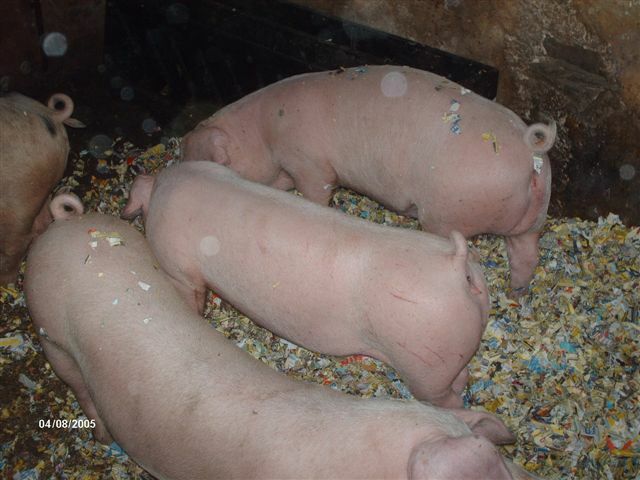 It is the dedication of a few breeders who have helped elevate the British Lop up the RBST Watch list without compromising the quality of the pigs being registered. The British Lop is a very docile and easily managed breed, partly due to their large, pendulous ears restricting it’s vision. Yet it is hardy enough for outdoor systems with, of course, the provision of wallows and shade essential in the hotter months. 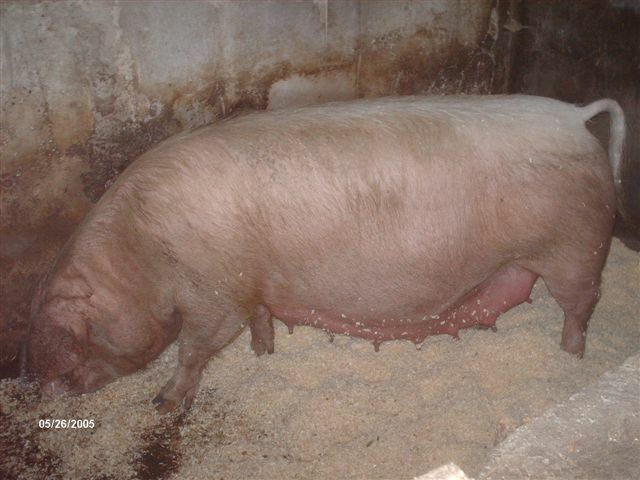 It grows readily and will finish with a well-muscled, lean carcase at pork or bacon weights. 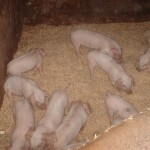 We have finished Lops in 16 weeks for Christmas trade, which is comparable to commercial units, without loss of taste. 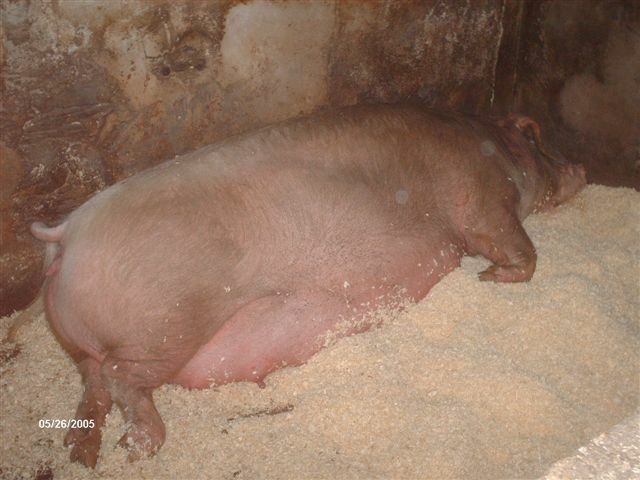 Generally though we take longer to finish and it is possible to take a Lop to higher weights for pork without increasing the back fat. 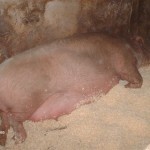 It is this versatility and food conversion efficiency that sets the Lop apart from other rare breeds of pig. 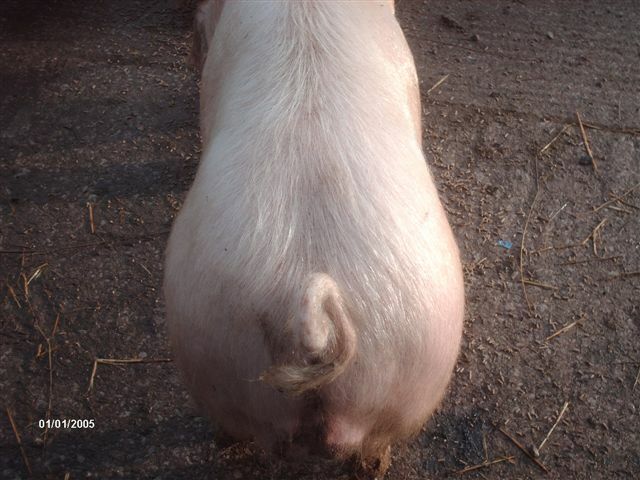 The good length and well filled hams makes this a winner with the butcher wanting to promote a rare breed but struggling with the excessive back fat on some traditional breeds. 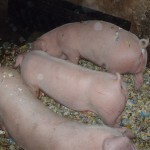 The British Lop is ideal for small scale and large-scale pig enterprises, as it does not suffer the colour prejudice of some butchers and slaughterhouses. The pork is sweet and tasty and the joints when roasted produce the tastiest pork crackling, any back fat basting down through the meat keeping it moist and succulent. 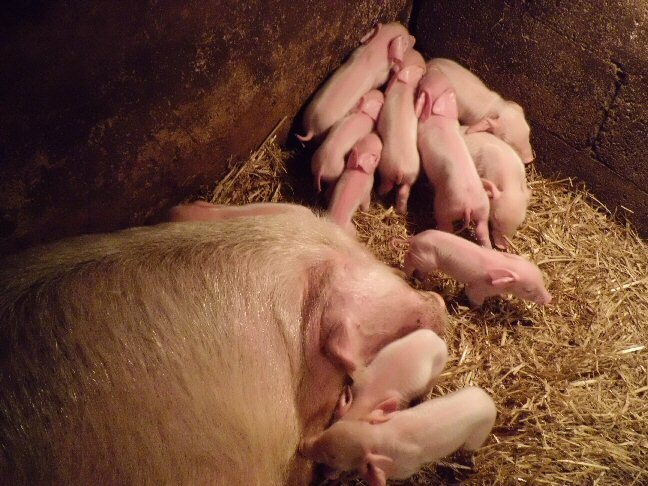 We only keep a couple of sows so it is important that we have pigs that can regularly produce good litter sizes and rear a high proportion of the piglets. 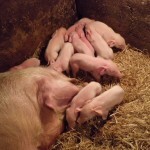 British Lop sows regularly farrow litters of 12 to 15 piglets and as attentive, milky mothers rear the majority of them. 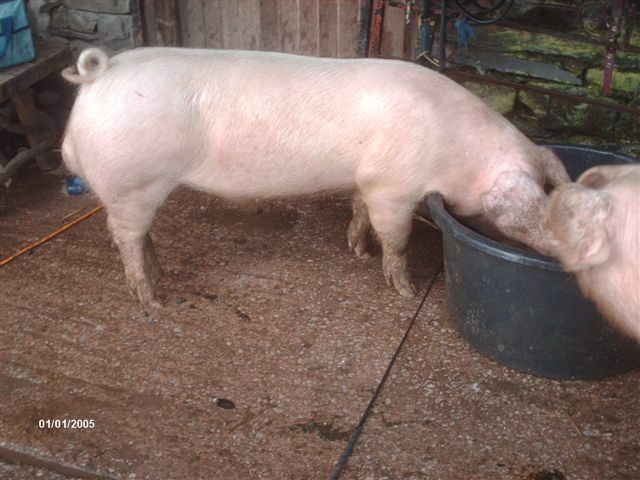 I have also found it possible to miss a season with a sow and still get her into pig, something I would not recommend with most traditional sows as they get too fat and you risk not being able to breed them again. 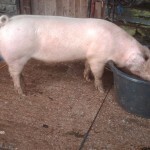 Our eldest sow, nearly 6, who was Supreme Champion at Cheshire Show as a July gilt, is still producing regular litters and show winners. She was also Champion Lop at Westmorland Show 2011 having just being weaned. 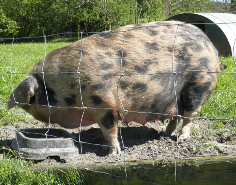 British Lops are a good breed for those wondering about showing pigs, they are more controllable than some breeds and tend to walk well. They do, of course, need plenty of baths being a white breed. 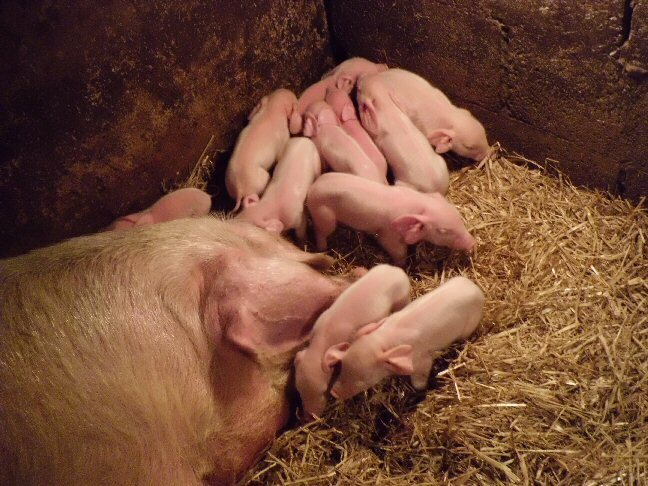 By choosing to keep and breed pedigree British Lops you will be helping to conserve one of Britain’s rarest breeds of pigs for future generations to come. Both Carole and John keep British Lops: Carole being the British Lop specialist.